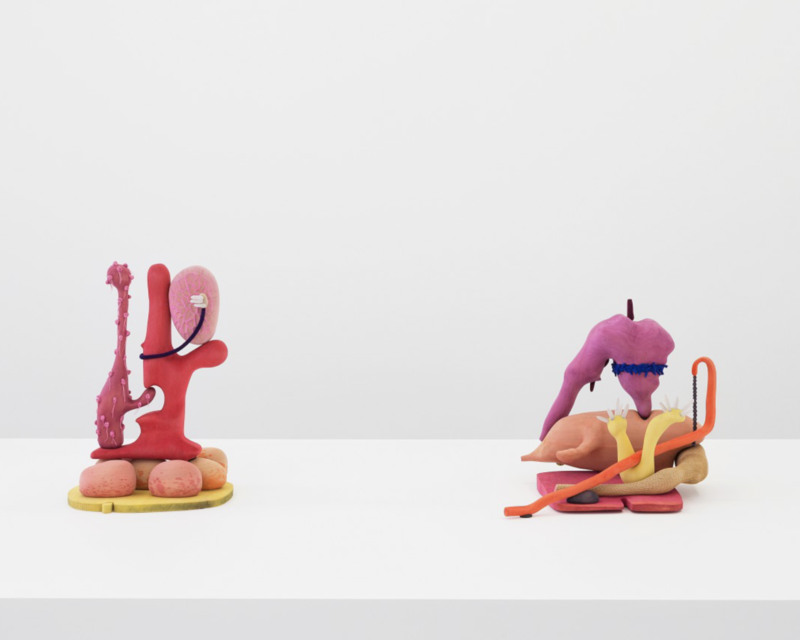 Brooklyn-based artist Matthew Ronay’s solo exhibition, Ramus, balances between a world of modern abstraction and surrealism, spiked with a potent splash of sensual psychedelia. 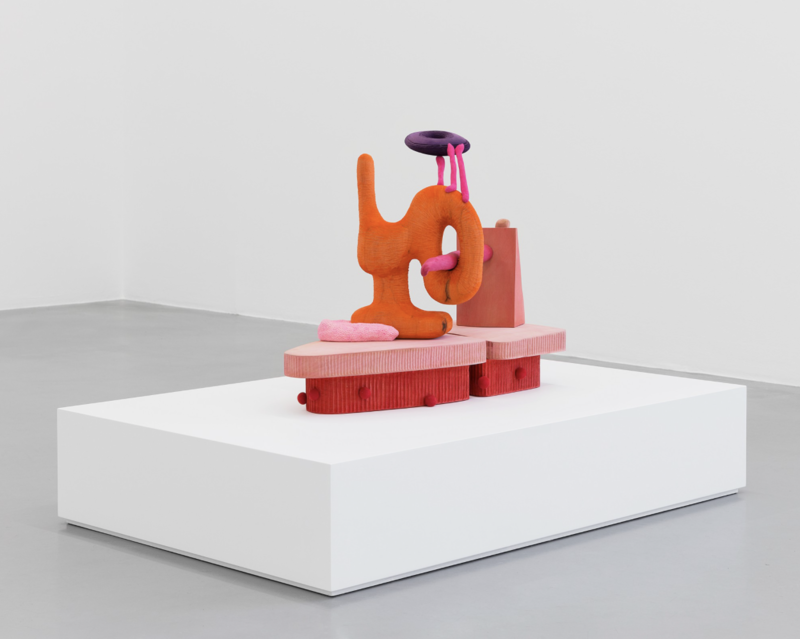 The sculptures and installations currently on display at PERROTIN Paris showcase handmade pink, orange, and red basswood forms that evoke an implicit eroticism. All at once the work emulates an air of attraction while simultaneously speaking to a sense of repulsion. 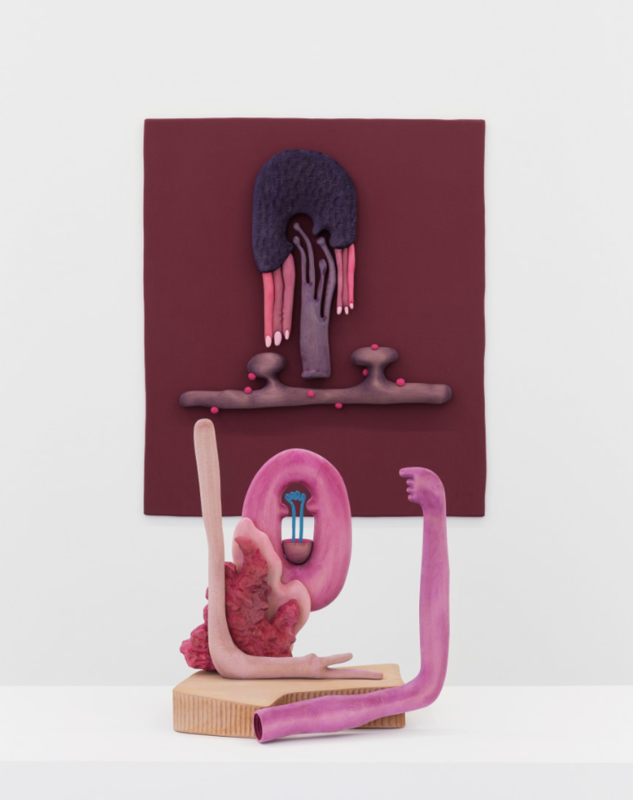 The grotesque, human-like "figures" and transcendent, textural shapes with a subtle resemblance to sexual organs. If there's a cartoonishness buried in Ronay's conceptual forms, it's fair to bet this was born of some bizarrely unhinged sci-fi wormhole. The works wander from weird to carnal to cute, offering a creepily thought-provoking crew of characters — a creative revelation more akin to “Rick and Morty” than any adolescent Disney mascot. “Ramus” is on Display until May 26th. Photography by Claire Dorn coutesty of PERROTIN.